For the celebration of their 35th anniversary year of existence in 2016, Belgian electronic music pioneers FRONT 242 decided to re-release several of their albums together with Alfa Matrix, their partner in crime over the last 15 years now. These remastered versions showcase FRONT 242s innovative and unmatched sound in the best audio quality made possible by today's audio technology.For the occasion of the re-release of the "Pulse + Still & Raw" album, FRONT 242 also decided to release a deluxe collector box edition of " Pulse" (a judicious track-list selected by Daniel B. as a kind of DJ set.). The vinyl-sized carton box features a military camouflage design with a spotted varnish printed FRONT 242 logo and a die-cut "2" across the upper cover (once assembled with the two other limited collector box sets released for the anniversary series, you get the "2-4-2" cut across the 3 box sets). The " Pulse" anniversary collector box is strictly limited to 1242 copies and includes the following items:1 x FRONT 242 " Pulse" - Gatefold LP (black vinyl - 180 gr),1 x FRONT 242 " Pulse" - Carton Sleeve CD (same track list as the vinyl LP),1 x FRONT 242 live 2 (carton sleeve CD) ancienne belgique 89. front by front (A professionally mixed exclusive 15-track live recording from the bands concert at the Legendary Ancienne Belgique in Brussels - Belgium in 1989),1 x FRONT 242 lanyard (white & red printed on black),1 x laminated Pulse live pass,2 x FRONT 242 posters (315mm x 220mm),1 x V/A - Sounds From The Matrix 17 (carton sleeve CD)(An exclusive Alfa Matrix label compilation featuring 20 label mates of FRONT 242). "Pulse" was originally released in 2003 and is to date the last official studio album of FRONT 242. It gets marketed again this time as a double-CD with the "Still & Raw" Mini-Album as second disc.Back in 2003, this album really took the FRONT 242 fanbase by surprise, breaking 10 long years of studio silence (besides some side-projects and other live recordings), revealing something new, different and once again absolutely ear-challenging, offering an inspiring look to the future of electronic music. Taking things further and pushing the limits of their machines, the legendary FRONT 242 showed that it was time to move on and that repeating their famous 80s sound would have been unoriginal and in full contradiction with the bands adventurous core spirit. "Pulse" being another work of pioneering electronic mastery on which creativity is genuinely abound. A sophisticated album on which the 242 team manipulates their instruments with unmatched dexterity, implementing synths and breakbeats in a quite unique and unpredictable way and bringing unmatched dark and passionate vocals in more subtle and melodic ranges never before demonstrated on FRONT 242 discs.This is definitely an album that can only be appreciated fully after repeated listens. Simply lose yourself in the atmospheres and rhythms to really decipher and enjoy completely "Pulse" and its accompanying "Still & Raw" mini-Album. So listen carefully. 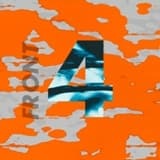 The first official FRONT 242 live DVD showing the band at its best during the impressive August 2004 performance in Lokeren (Belgium) in front of more than 17,000 people. 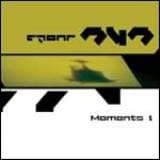 This is a unique opportunity for the fans of electronic music to forever own a true piece of music history on DVD, immortalizing the legend and genius of Front 242. 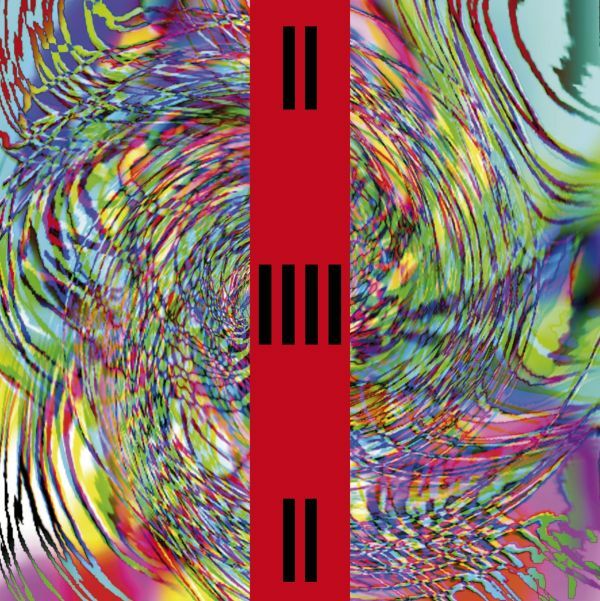 Released in March 2004, the re-release of the long deleted first album by FRONT 242 contains all the tracks from the original album, but in REMIXED new versions plus the exclusive bonus-track "He runs too fast for us" which did not make it on the original LP back in the early eighties! 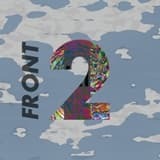 For the celebration of their 35th anniversary year of existence in 2016, Belgian electronic music pioneers FRONT 242 decided to re-release several of their albums together with Alfa Matrix, their partner in crime over the last 15 years now.For the occasion "Pulse + Still & Raw" and "No Comment + Politics Of Pressure" will be re=released on vinyl and in a deluxe vinyl box edition, FRONT 242 also decided to re-release the rerecorded & remastered 2004 edition of their debut album "Geography" as a deluxe collector box edition. 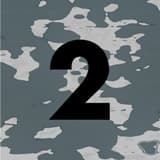 The vinyl-sized carton box features a military camouflage design with a spotted varnish printed FRONT 242 logo and a die-cut "2" across the upper cover (once assembled with the two other limited collector box sets released for the anniversary series, you get the "2-4-2" cut across the 3 box sets). The "Geography" anniversary collector box is strictly limited to 1242 copies and includes the following items:1 x FRONT 242 "Geography" LP (black 180 gr vinyl)1 x FRONT 242 "Geography" CD carton sleeve (with 3 bonus tracks)1 x FRONT 242 "Geography limited" LP (black 180 gr vinyl)A collection of songs taken from the "Geography" sold-out limited 2CD box edition released by Alfa Matrix in 2004 including pre-FRONT 242 material under the PROTHESE and UNDERVIEWER monikers as well as special instrumental and aerial version of FRONT 242 early songs.1 x FRONT 242 "take one / see the future" (crystal transparent 7" vinyl)An exclusive 7" single which could have been released back in the early days. !1 x V/A - Sounds From The Matrix 08 (carton sleeve CD)A bonus Alfa Matrix label compilation featuring 18 label mates of FRONT 242.1 x "front by front" lanyard (printed white on black)1 x geography laminated live pass2 x "Geography" posters on art paper (315 mm x 220 mm)Originally released in 1982, FRONT 242s debut album "Geography" was already re-released later in 2004 by Alfa Matrix in a fully remastered and remixed version using modern technology while staying faithful to the spirit of the original versions and augmented with the bonus track "He runs too fast for us" which did not appear on the original LP back in the early eighties. It is this uplifted version of the album which today gets released on vinyl format. A true "classic" record in electronic music history which became such an influential album on the development of industrial / EBM music throughout the 80s and far beyond and which constitutes the layers on which FRONT 242 was constructed. Contains the 16 mixes from the 4 cd-singles plus the TALLA 2XLC remix. The 16 mixes include Beefcake, Substanz T, Noisex, Resistance D, Galan Pixs, Doug Laurent, Xingu Hill. 17 tracks in total. Digipak 1CD edition with 18 tracks incl. 4 alternative versions not available in the box Front242 decided to re-load their old analogue sequences into the new generation of synthesizers and carefully re-designed all the sounds to match the spirit of their time. The result was proposed on a worldwide "Vintage Tour" that is still running today. To satisfy their fans, but also the curiosity of numbers of listeners interested in the early electronic music atmosphere ; we invite you to discover this exceptional "Live" recording encompassing the very best of Front242s compositions. Enjoy "Moments..." - a Snapshot of 242s live sound. 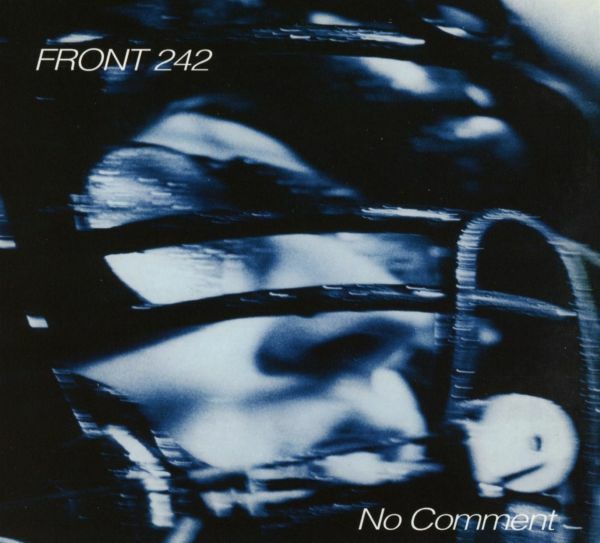 "No Comment" and "Politics Of Pressure" were originally released in 1984 and 1985, at a moment when FRONT 242 reached its full force line-up made of Daniel B., Patrick Codenys, Jean-Luc De Meyer and Richard "23" Jonckheere; and really started attracting true cult-following. They had become the solid leaders of the newly born "electronic body music" movement in reference to their high-tech and hard edged electronic punk dance music. They were also shaping their today cult image as a high energetic powerful live-act dressed in military outfits ready to conquer the world and become one of the most popular underground bands for the many years to follow.Songs like the new hits "No Shuffle", "Commando Mix" or yet "Funkhadafi" definitely cemented their reputation as the leaders of cutting edge of the experimental industrial dance scene, combining political sound samples, heavy sequencing and aggressive electro beats. Just like their lead singer Jean-Luc De Meyer once explained it: "We don't want to say anything to the people. We just take samples from the world around us, the news, television, movies, the street...We act as a reflection of what's happening and what's interesting in the world.". FRONT 242s music was never created as a way to convey a message, but rather serve as an artistic observation of things around all of us!Since day one, FRONT 242 have always been employing the use of the most current technology available to keep their music fresh, groundbreaking and up to date, non-stop pushing their sound to its logical extreme. The unique cold and synthetic brand of electronic dance music displayed on "No Comment" and "Politics Of Pressure" instantly became the bands signature sound for the following decades. Its a true sensational pleasure for the ears rediscovering these great classic tunes in their fully remastered versions, reminding us how this second album firmly placed the group as a major driving force of electronic music for the many years to follow. For the celebration of their 35th anniversary year of existence in 2016, Belgian electronic music pioneers FRONT 242 decided to re-release several of their albums together with Alfa Matrix, their partner in crime over the last 15 years now. These remastered versions showcase FRONT 242s innovative and unmatched sound in the best audio quality made possible by today's audio technology. "Pulse" was originally released in 2003 and is to date the last official studio album of FRONT 242. It gets marketed again this time as a double-CD with the "Still & Raw" Mini-Album as second disc.Back in 2003, this album really took the FRONT 242 fanbase by surprise, breaking 10 long years of studio silence (besides some side-projects and other live recordings), revealing something new, different and once again absolutely ear-challenging, offering an inspiring look to the future of electronic music. 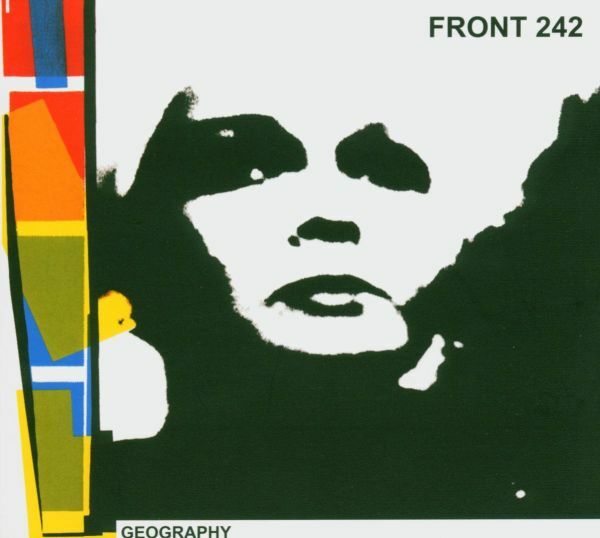 Taking things further and pushing the limits of their machines, the legendary FRONT 242 showed that it was time to move on and that repeating their famous 80s sound would have been unoriginal and in full contradiction with the bands adventurous core spirit. "Pulse" being another work of pioneering electronic mastery on which creativity is genuinely abound. A sophisticated album on which the 242 team manipulates their instruments with unmatched dexterity, implementing synths and breakbeats in a quite unique and unpredictable way and bringing unmatched dark and passionate vocals in more subtle and melodic ranges never before demonstrated on FRONT 242 discs.This is definitely an album that can only be appreciated fully after repeated listens. Simply lose yourself in the atmospheres and rhythms to really decipher and enjoy completely "Pulse" and its accompanying "Still & Raw" mini-Album. So listen carefully.